édité le 17/05/2017 - Plus de news de "Wood" - Voir la fiche entreprise de "Wood"
Wood Group has signed a ten-year master services agreement (MSA) with Chevron that allows them to deliver conceptual engineering, pre-front-end engineering design (pre-FEED), FEED, detailed design and procurement services in multiple locations across Chevron’s global onshore and offshore asset portfolio. Contracts to provide topsides conceptual and pre-FEED for two semisubmersible platforms on the Tigris and Anchor developments in the Gulf of Mexico (GoM) have been awarded as the first work orders under this new agreement. The Tigris and Anchor platforms will operate in 4,000 to 5,000 feet of water, approximately 140 miles offshore Louisiana in the GoM. Chevron and Wood Group share a long-standing relationship, with several projects in the GoM, including Jack and St. Malo and Blind Faith, plus the Gorgon project in Australia. 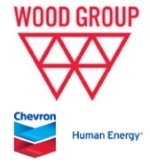 Robin Watson, chief executive of Wood Group, said, “The MSA and Gulf of Mexico contracts continue our strong relationship with Chevron and demonstrate the quality of our people, our capability and our long track record of successful delivery to this key client.